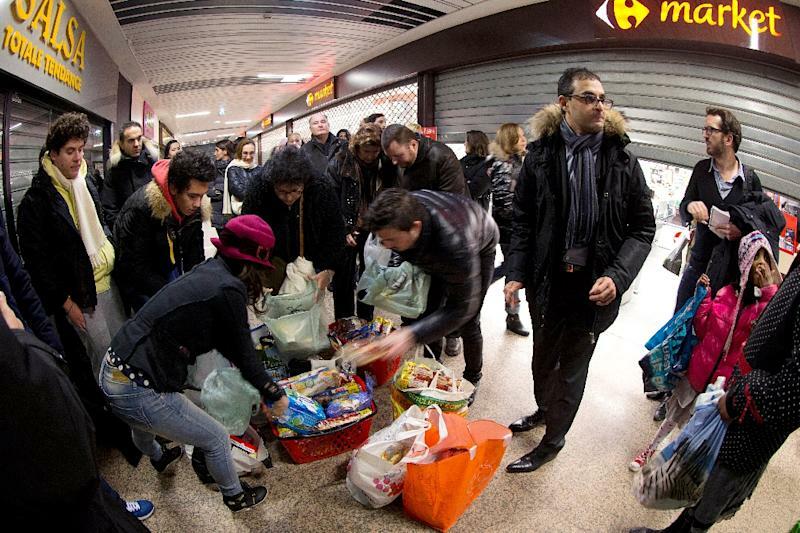 Paris (AFP) - A local councillor whose zealous anti-waste campaign led to a French law forcing supermarkets to give leftover food to charity is now preparing a petition to take the legislation Europe-wide. And he doesn't plan on stopping there. Arash Derambarsh, 35, whose parents fled the Iranian revolution to France where he was born, says he is driven by "rage" and the memory of struggling to fill his stomach as a poor law student. His plan is simple: reducing world hunger by getting supermarkets to stop dumping their unwanted food. "You can say it's naive, you can say it is idealistic, but what I am proposing is realistic," he told AFP. French lawmakers voted in May to stop supermarkets from discarding leftover food, tonnes of which ends up in dustbins every day. Stores bigger than 400 square metres (4,300 square feet) will be forced to sign contracts with charities by July 2016 to take their unwanted food, or face fines of up to 75,000 euros ($82,000). Food not fit for consumption will have to be used for animal feed or compost. But it is the part of the law that forces stores to give unwanted food to any association who asks for it that Derambarsh considers his personal victory. The local councillor in the town of Courbevoie just outside Paris in January launched his petition on the website change.org demanding such a law, which got some 211,000 signatures and caught the government's eye. Derambarsh is now launching the petition throughout Europe next week. Faced with rampant waste, Derambarsh took action after realising that many in need do not go to food banks, either out of shame, or because they do not qualify. "So now you are too rich to be poor," he said, adding that working-class French people who earn the minimum salary of around 1,500 euros ($1,600) monthly, struggle to get by. 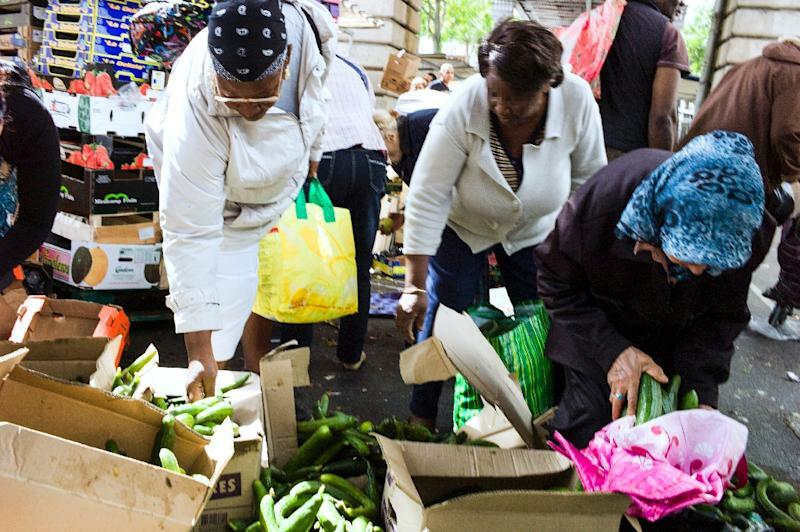 When Derambarsh approached a big supermarket chain to see if he could pick up unwanted food and give it to the poor at the end of the day, avoiding the need for storage, it refused. "They prefer putting bleach on the food," he said, referring to the technique by which some supermarkets destroy food to deter those who rummage through their bins, out of fear that if anyone gets sick they would face legal action. Derambarsh finally got the green light from another supermarket and the success of his idea pushed him to launch a petition. "I started like Forrest Gump running all alone and now people are coming along with me." While the law has largely won praise, some have reservations about the logistics of putting it into practice. 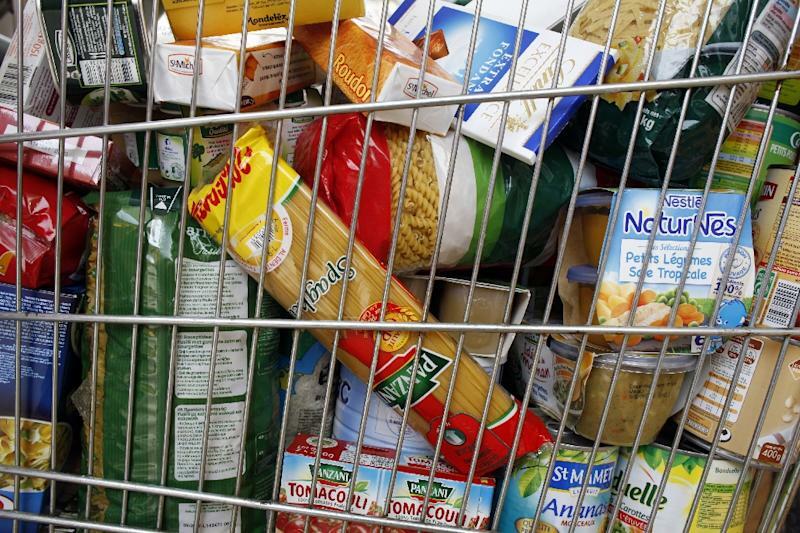 "It is fine to forbid (discarding food) but you need to organise collection," said Michel-Edouard Leclerc, head of a major French supermarket chain. While several nations have information campaigns or strict recycling rules -- in South Korea you have to separate out food from other garbage and pay weight-based disposal fees -- few have food waste laws. Guillaume Garot, the deputy who wrote a report on the topic for the government, said the new legislation will make France "the most advanced country in terms of fighting food waste". The only other part of the world that forces supermarkets to give unwanted food to charity is southern Belgium. Global efforts to clamp down on food waste have gathered steam in response to UN statistics that one-third of food produced for human consumption is lost or discarded. Restaurants that cook with food saved from the dustbin, cooking classes to help citizens better use their produce and applications to share unwanted food have sprung up everywhere from New York to Copenhagen. France is even trying to promote "le doggy bag" -- in a country where taking home restaurant leftovers is met with raised eyebrows. Another popular drive is saving misshapen fruit and vegetables that would be dumped for not meeting supermarket standards. Frenchman Nicolas Chabanne took this idea one step further and created what he says is the world's first anti-food waste brand. A year ago he began saving everything from contorted carrots to silly-looking strawberries and branding them for sale in supermarkets under his "Gueules Cassees" (Broken Faces) logo of a grinning, one-toothed apple. The logo "has become a marker which tells consumers: here you have a product which is as good as the others, there is a small fault, but it tastes just as good and costs 30-50 percent less". The project was so successful he recently added other products like cockeyed camembert from a dairy farm in Normandy which was doing away with 450,000 rounds of cheese a year. His logo also graces food products nearly at their best-before date -- which would otherwise have been cast aside by supermarkets loath to disappoint consumers. From Japan to Brazil, some 17 countries have expressed an interest in the brand, which has rolled out in 5,000 French supermarkets. One of his clients, Nicolas Benz, a cherry farmer from the south of France, has gone back to raw picking cherries so the smallest no longer get left behind in mechanised harvesting. "You know, a producer who waits a whole year for his trees to bear fruit only to throw it away ... it is demoralising," he told AFP. Is Supermarket Income REIT plc's (LON:SUPR) ROE Of 5.4% Concerning?